140g 12" black vinyl, mastered & cut at Optimum Mastering UK. Sleeved in white reverse board 12" cover. Scizzo Porpurri meriummum. 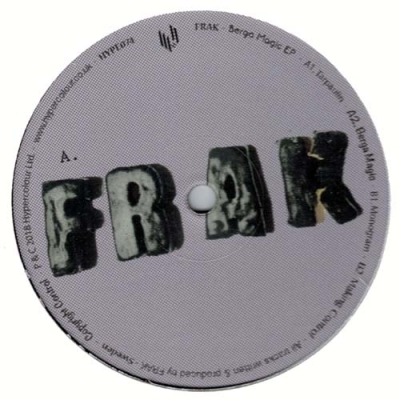 2 sides of FRAK and starts with soft psychic bipolar techno and ends harder psychotic tripolar techno.